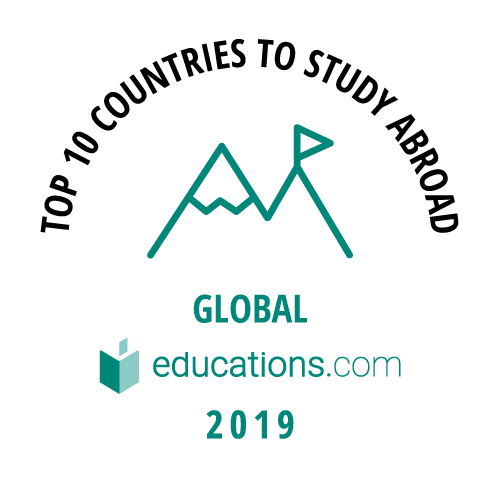 Welcome to the official 2019 rankings for Top 10 Study Abroad Countries in Europe! In our survey of over 20,000 international students, most of you told us that, when deciding where to study abroad, you choose country first over a university or specific type of program. You also told us what you consider the most important factors when choosing a study abroad destination. Take your studies abroad to a country that has abundant opportunities in both the outdoors and in the classroom! Austria has been ranked #6 within Europe for teaching quality and #8 for low study costs. The education system in Austria is ranked #11 in Europe, and promotes a blend of academic tradition and creativity and innovation, making it the perfect place to hone your skills for any career you choose. Austria is also a very attractive place to live, with its low crime rates, beautiful natural landscapes and thriving cultural and arts heritage to discover. 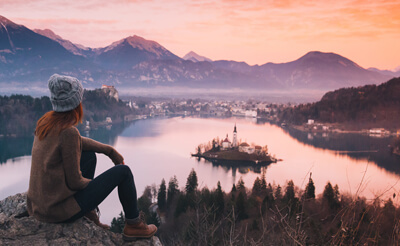 Make Austria your study abroad destination of choice and experience the benefits of our top ten country in Europe for yourself! Many students from all over the world seek out degree programs in the UK, and they have plenty of reason to! The UK is home to an abundance of world-recognized universities, many of which consistently rank in Top University lists around the web. Studying in the UK also means you’ll be at the doorway to the rest of Europe, so you will be able to participate in many travel and extra-curricular activities in your study breaks! The UK alone, though, has plenty to offer. With an incredibly rich historical and cultural heritage, a mix of vibrant cities and English countryside landscapes to discover, as well as over 420,000 international students to connect with, the UK makes a fantastic study abroad destination! With low study costs (ranked #3 in Europe), high potential in achieving your career goals (ranked #9) and a high quality of teaching (ranked #11), Germany earned excellent marks in our research and is a top contender for your study abroad destination! Universities here are among the best in the world, and tuition costs for public universities are all free for international students! Many programs combine theory and practice, giving you fantastic skills and experience for your future career. Aside from the first-rate education you will receive, living in Germany will give you the opportunity to learn about the country’s compelling history and immerse yourself in the charming cities and countryside landscapes that have inspired this ‘land of poets and thinkers’. If you want to study in one of the most notable and academically acclaimed countries in Europe, Germany is definitely one to consider! Performing with tremendous scores in multiples categories such as career goals (ranked #3 in Europe), study costs (#4) and teaching quality (#8), Denmark is definitely a top study abroad destination in Europe and the Nordics! And with more than 700 degree programs and 1300 courses taught entirely in English, there are many options available. The Danish education system prides itself as being incredibly rigorous and academic, with excellent links to industry to help you gain highly sought-after experience. With an emphasis on personal initiative and independent thinking, you will gain critical skills that will take you far in your future career across whatever field you choose upon graduation. What’s more, the Danes are well-known for their wonderful lifestyle. Make Denmark your study abroad destination to join over 20,000 other international students who have made the country their home away from home! As the birthplace of philosophy and cradle of Western civilization, Greece has a rich and captivating history and heritage to explore. Ranking highly in Culture (#6 in Europe) and Adventure (#8), it’s on many student’s lists of places to visit. But just imagine the opportunities that could await if you brought your studies here! With teachings and traditions rooted in thousands of years, studying in Greece could be the most inspirational destination for your study abroad experience. You’ll be immersed in the surroundings that stimulated the ancient Greek scholars who made incredible advancements in philosophy, medicine, mathematics and astronomy. What’s more, all undergraduate programs are free for EU/EEA students, and Greece has a relatively low cost of living, making studying in Greece a very affordable choice! Although Athens is typically the most popular location in the country, Greece has an abundance of gorgeous small islands to explore as well, which are perfect for well-deserved study breaks! Earning the top place among Scandinavian countries, and #11 in our worldwide rankings, Sweden is a hub for innovation, inclusiveness and independent thought. While providing a progressive and creative education, Sweden also boasts the #1 ranking for study costs in Europe, making all your dreams of living a Scandi lifestyle that much more attainable! Sweden additionally performed well in our career goals category (ranking #5 in Europe), with many who earn degrees in Sweden able to tap into a global community full of multinational companies and exciting opportunities, particularly in the tech industry. Added bonuses of bringing your studies to Sweden include experiencing the incredible sense of well-being and work-life balance enjoyed by Swedes, knowing that everyone can speak English and living in the most equal country in the world! Could there be a better place to live? As one of the oldest and most historically rich nations in the world, France and its people are well known for their fine cuisine, fashion and art, earning a ranking of #2 in our Culture category within Europe. Many have a visit to France on their bucket list, but what if you could study in a city such as Paris, Nice or Bordeaux, and immerse yourself over the course of a semester or year abroad? There is plenty to see and do, earning France a ranking of #11 for adventure in Europe. 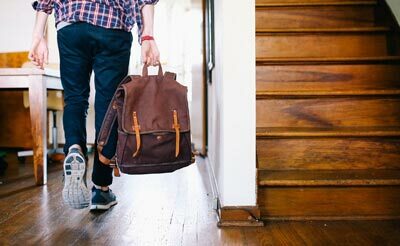 While France is most certainly a top tourist destination, study abroad options are also prominent and more accessible, with study costs there being relatively reasonable for many who hope to live there (ranked just outside the top ten at #11). With over 3,000 institutions of higher education offering an array of degree options, including some of the world’s best, studying in France is an option for everyone! 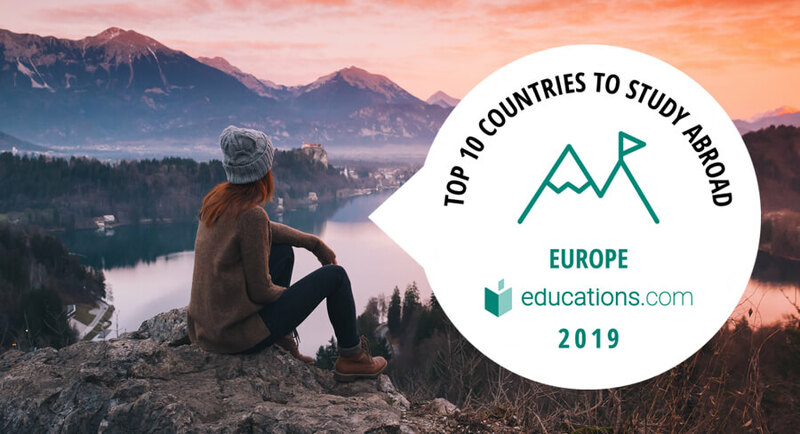 While being a relatively small country in Central Europe, Switzerland is a country that is able to offer an impressive quality of life and fantastic opportunities for education and careers, ranking #2 in Europe for teaching quality and #6 for career goals. So, what is the secret to Switzerland’s success? Why are the Swiss consistently some of the happiest citizens in the world? Does it have something to do with the fact that the Swiss regularly consume the most chocolate per capita every year? Maybe! Besides the incredible cuisine and candy, though, Switzerland offers an excellent array of universities, beautiful landscapes and rewarding educational possibilities. The Netherlands scored impressively in both the teaching quality (#3 in Europe) and career goals (#4) rankings. With over 2,000 university programs taught in English, it shouldn’t be too hard to find your perfect study opportunity. With an emphasis on an interactive and student-centered teaching style, as well as a diverse international community, the Netherlands is a very popular place to not only study but remain after graduation. This is especially because the Dutch government is set on retaining international talent, with the option to apply for a one year residence permit upon graduation. The Netherlands is a natural choice when seeking a destination to study and build a professional career in! Not only did Spain take the #1 spot in our Top European countries, it was also ranked #2 in the world in our global rankings. The country also ranked #1 in Europe for adventure and #3 for culture. With the cost of living in Spain being relatively low, over 70 universities to choose from, and a rich historical and artistic landscape to navigate, Spain is a great choice for any study abroad option! Studying in Spain will also give you a chance to learn the second most commonly spoken language in the world; perfect for enhancing your career prospects after university! In the meantime you have the fantastic climate to enjoy, exciting cities and beautiful countryside to explore, and the wonderful culture of tapas and fiestas to sample! It’s no wonder that Spain has one of the largest populations of study abroad students in the world! Have you considered joining them?